A beautifully designed GWR signal box. 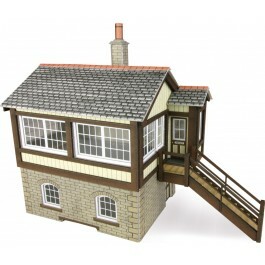 It can be built as a red brick signal box or as a stone signal box. The steps can be attached direct to the door or with an extended section for token working. The best eCommerce software by ShopFactory powers P1485. All-in one eCommerce and shopping cart software.